All our clearance items are the same great quality products that you have come to expect. Most items are simply over stock or large production runs. Clearance items are subject to change daily. -03 Female JIC Straight, 303 Stainless Steel, includes crimp collar..
-05 Male AN / JIC by 1/4" Male NPT adapter, Brass. 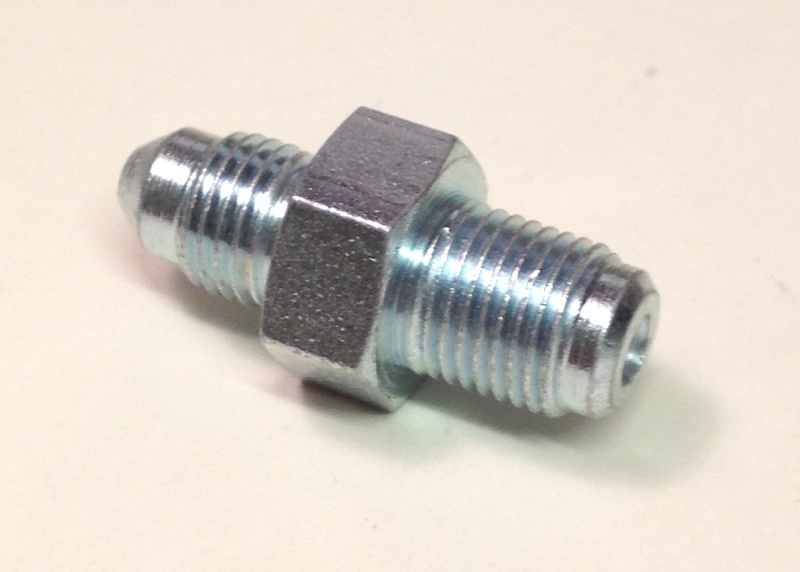 8mm by 1.0 Thread Pitch..Fluid bolt length excluding hex portion 24mm..Fluid / Banjo Bolt, Import. -06 Male JIC by -04 Male JIC Union adapter, Carbon Steel. 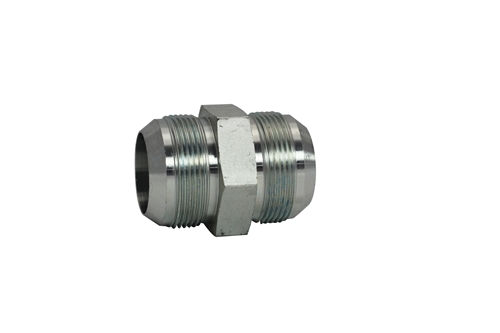 -03 Male JIC by 1/8" MNPT, Adapter carbon steel. -03 Male JIC by 10mm x 1.0 male inverted Flare (Short), Carbon Steel. Silicone Heater Hose, 1/8" Blue. Sold by the foot...I.D. 0.1880..O.D. 0.3880. 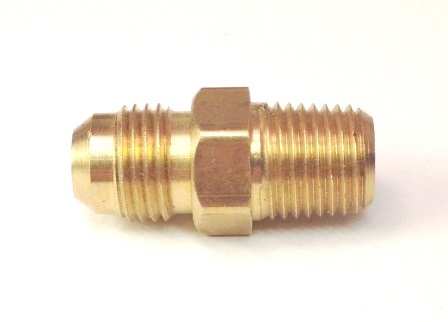 -04 Female JIC / SAE swivel, Brass Crimp Fitting (Insert, Nut & Collar), Thread 7/16-20. 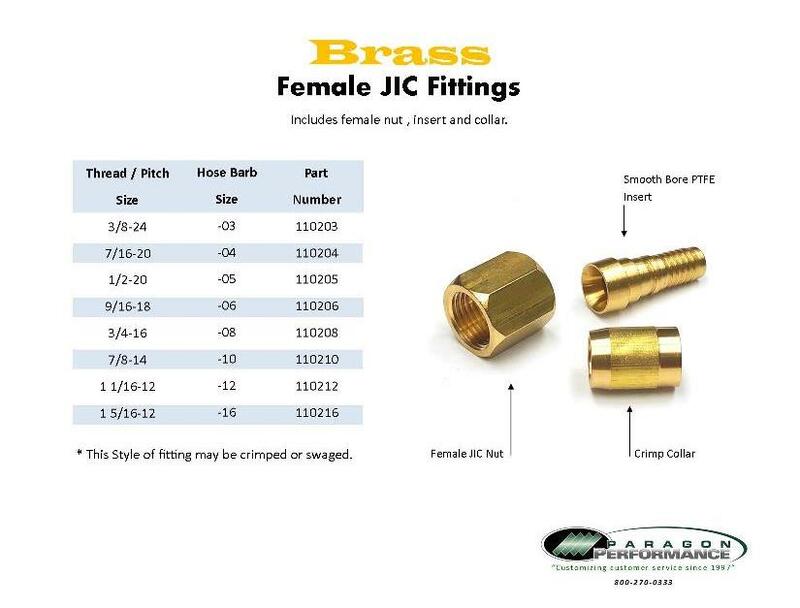 -06 Female JIC Swivel, Brass Crimp Fitting (Insert, Nut & Collar), Thread 9/16-18.